Positioned at the rear of the house, this first floor room has a double bed with views of terraced gardens. It offers a leather bed, large flat screen television and leather tub chairs. There is a modern en-suite shower room. 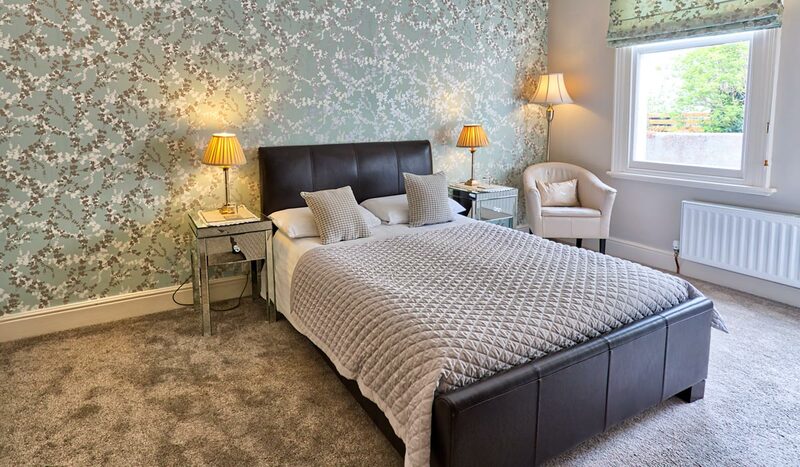 All bedrooms have modern en-suite facilities with complimentary toiletries.